You are here: Home / Home and Family / Are You Fed Up? Put Your Foot Down. 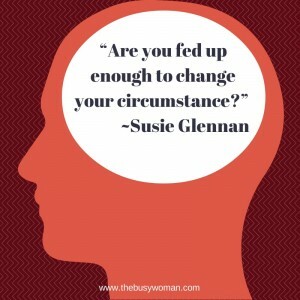 Are You Fed Up? Put Your Foot Down. There comes a time in your life when you have to PUT YOUR FOOT DOWN! 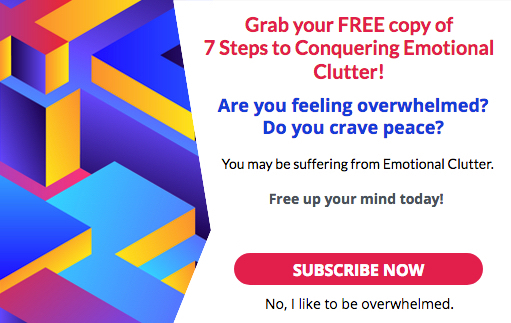 You have to get fed up enough that you can’t continue to make it under these circumstances… chaos, too much TV, or whatever else that is eating up time, energy, and a poor quality of life. I can’t be the person God wants me to be if I don’t change something. You can’t be who YOU want to be if you don’t change something. I got fed up enough to change my circumstances and put my foot down. My children were about 2, 4 and 6 1/2 when I pulled my oldest out of school to start home schooling. When I got them on a schedule, we varied our days from there. If you keep at least a nap-time and play time the same each day, a child can handle everything else much easier. Much of their security is with some, if not a lot of structure. When they know they can rely on at least one or two things during the day, they will use that as their so-called leaning post. A leaning post is a stationary post in the ground by which they can rest, i.e. : lean. 5. If you can get yourself up early enough to take care of YOUR personal needs in the morning like your prayer, exercise, and shower, the rest will truly be easier. Then you are prepared to get the kids up, dressed and fed and move on with the day. Let me give you an example of one of my good schedule days. It’s when we really were right with God (It’s an ongoing process.). 6:30 – Wake up, ask God to take control and help us with our schedule. Shower, get dressed, put on some makeup to feel like a real person, and do my hair sort of. Now I do this all before coming out of the bedroom. If you are going to exercise, then you’d obviously do that first. I used to do it with the TV program at about 6 or 6:30 every morning and then take my shower and proceed with what I put first here. 7:30ish – Start with the oldest child by going in singing some silly song about waking up. We called it the good morning song. They hate it now, though. ;c) So you wake up the oldest by rubbing their back, giving them a hug as you tell them what you expect for the day. Just try NOT to overwhelm them like I did to mine. I was sort of loud at times. After a while, I learned who needed what. I have to stop and remember to tell you that what helped me put our whole life in order was to completely childproof the house. The front room had toy bins on the lower two shelves and “my” things were up higher. This made my life SO MUCH easier. OH and I also landscaped the backyard so it was kid friendly with their special toys and such. Around 8:30ish, we’d all go in and sit down for a bible story, and prayer. Then I’d bring out the guitar and sing songs with them. Next was time for breakfast around 9:15 or 9:30. I usually did not sit down to eat because I’d be cleaning as I was eating. I’d usually have the dishes loaded by the time the kids were done eating. Then they all had to clear their plates, even at 2 years old. I never used more than paper plates unless there was a major family dinner or something. While we are all clearing off our plates from the table, I’d have Jen, my oldest take the little ones into the bathroom to brush their teeth and wash. We used the bathtub for the little ones for a bit. ;c) They could stand over it with their cups of water and toothbrushes. At about 10:15, maybe earlier because I remembered we’d be doing our second subject by then they’d watch me get out each of their things and put them on the lower counter. Each subjects’ books would be in a pile. Jen would get her reading book from the reading pile, Josh would get his from the reading pile and I would hand Jamie a book. They’d sit down at the dining room table (we had a small house) and I’d start their lessons. The KEY here was to keep them all in the same place at the same time so that I could bounce from one child to the other. However, once I got each of them going with their work, I’d go into the kitchen to unload dishes or really clean up. There was also always laundry to be done and I could do that and if I had to take the 2 yr. old with me to “help” mommy carry the clothes or take them out of the dryer, etc… I would. I’d do most of their subjects with all of them at the same time. For example, if they were supposed to read something, I’d have the only one who knew how to read DO the reading while the others followed along in my lap or I’d kneel next to them while they sat at the table so I could help them follow along. For math when the oldest was on counting by tens and hundreds, we ALL pitched in and made our own counting sticks with beans and popsicle sticks. It was fun, hands on and the others learned as well. They’d count the smaller amounts and the older child would count the larger amounts. Then while they cleaned up that subject, I’d put the wash to the dryer and the dryer to the couch. I’d fold while they were all doing some activity or writing. It’s sort of like if they were in school, you’d race around and do housework, then eat while the wash was drying, then get back up and do whatever else you do when you’re not doing housework. I’d do the schooling while I wasn’t doing housework. It took us about three weeks to start getting used to the routine, but I would make a HUGE deal about our FREE time of which we had at least 3 hours of each day! I also made it a point to take them to the park at least once a week. We also had home school field trips. At about 12, we would clean up together and get the table ready for lunch. Now lunchtime is when I’d put together part or all of the dinner for that night. (Let me break away for a minute here… On the weekends, the family would go to Costco’s and/or the supermarket, once a month for the large shopping trips and the other times for the milk, eggs, bread, etc. I’d purchase chicken and meat in bulk and take a little over an hour each weekend when we got home to prepare packages to freeze for dinner. This we STILL do to save time.) Back to lunchtime… I’d make lunch, and again, I’d take a bite while I prepared everything for dinnertime so that I only had to put it in the oven or do whatever needed to get it ready with the least amount of hassle at the dinner hour. Then the kids and I would again clean up after our meal and get ready for playtime. On some days we’d pick out a game. Many days I’d send them out for a reasonable amount of backyard time to get some fresh air and give mom a breather. We’d take a neighborhood walk and visit with neighbors too. Then we’d also have time to play in our rooms. I tried to play music as often as possible to keep our spirits up. 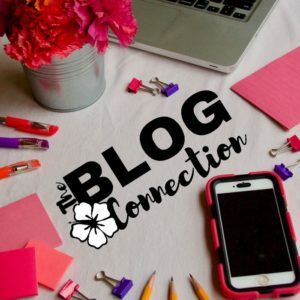 I know this is long, but you need all the ideas you can get to help you get started. The rest is pretty standard even up to getting them to bed. I will say that for a while we did a story in the youngest child’s bedroom and then I’d take each one to bed or have the older two go to their rooms and I’d be in with dad to say goodnight. After a few months, I took on some day care kids and worked them into our routine. Then I picked up a job at Home Depot at night (just for an out of the house break with adults). This was still okay, because our daily routine was the same and when hubby would come home, he’d stand in the kitchen and talk with me for about 15 minutes. I would have dinner on the table and talk with everyone until I left. Dad took over then and got his own nightly routine going with the kids. I think you get the picture. Take from me what you think will work for you and throw away the rest. Let me know how you are doing in about a month after you try to work on things. Putting God first is what kept us sane and doing well throughout surgeries, accidents (2 of them) and illnesses. I know He can do something for you.